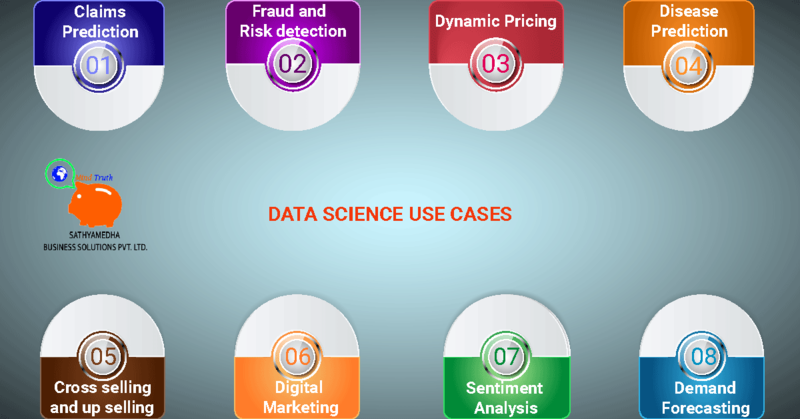 Data science is applied to various problems in an organization. It has fast computing and cheaper storage. It can predict the measures and estimate outcomes with ease. Before initiating any Use Case data scientist should know about entire business strategies and objectives. Planning for the use case and deciding a use case are two distinct phases. The business world is still struggling to get into the process, whereas data science makes its own unique challenges into the business world. These challenges are likely to raise elevated risk, indeterminable efforts, and more efficient customers. Create a list of use cases, and then validate each case individually. Assign priorities to the validated use cases. This process provides better insight on use case preference. Efficiently share them within the organization. This approach might look familiar with other but, it uses a square chart and plot use cases between risk and level of effort. Here size of the bubble indicates the value. Preferred use cases are large bubbles and placed on top-right. These are highly valued targets that imply high efforts and occurrence of high risks and this is dependent on efforts induced and level of risk tolerance. Driving list of use cases into the chart for data science is more typical than it looks like. Creating a list of efficient use cases is deceptively simple for data science. There are two sources of bias that lead orientation of clever ideas. There is a massive data in an organization and nobody have complete information. They need to know more about data and about the organization. 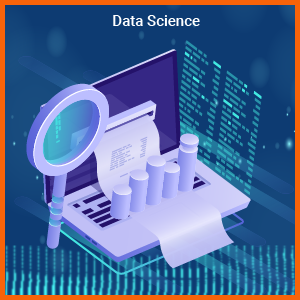 The reason behind improvising popularity of data science is modern technologies and techniques that are opened to solve problems. To overcome these biases, implement collaborative communication with everyone in the organization. Core Data Warehouse professionals possibly have knowledge about finding solutions. Lines of business and end users will have an idea about implementation data. Each use case individually has value, level of effort and risk. Consider use case as a unique thing rather than IT project that makes it hard to evaluate use cases in data science for the organization. Remember – Data science is not an IT project. Software projects are well known for their late process and over budget, but data science can reflect the worst image if it is neglected. Data scientists working with the single-use case will result from impact created decreases returns and output. Data science is about best implementation in a specified period. At the end of the process allocate a value score for each individual use case and these will provide the values to build that chart. Value is defined as knowledge gained by the data. Machine learning is an application with high- cost knowledge that gained through data science. Value differs with different people and organizations, few consider value as their company profit and as an aim of the organization. Analyzing effort of data science is more than counting work hours of data scientist. It is about analyzing the problem. 1 Hour: Easy to achieve with the single SQL query and building a quick chart. If machine learning is used, then the outline is predictable. 1 Day: Taking time to test and understand the outcome builds reasonable presentations and different potential approaches. 1 Week: Sort out the problem quickly. If not use data exploration approach to over tune the outcome and jolt the accuracy of numbers. Software and IT won’t have any technical risk, whereas in data science probably can expect the negative outcome in a few cases. Efficient list of use cases will evaluate value, level of effort and risk. This phase is easier among three phases. Prioritization is about validating value, effort, and risk of individual use case and in few cases should choose risk to reflect on valuable customers. There should be some preferred choices to tackle the use case with low effort, high value, and minimal risk. Based on the situation offered will be placed aside. This will evolve as a count of people increases. In conclusion, data science will have all the possible to rationalize the use cases and this is an efficient process. Remove bias while listing out potential use cases and prefer possible ways. Improvise value, level of effort and understand risks of use cases.